3 Trendy Festival Outfits That Won’t Sacrifice Comfort — Watch and Shop! Ready to head to the desert and dance all weekend long? The key to music festival dressing is obviously to look on trend, but you want to make sure it’s still practical and comfortable so you can run from stage to stage from day to night without fuss. To inspire your outfit planning, wherever your festival of choice takes you, we’ve compiled three unique ensembles of differing styles that mix trends and function fit to beat the heat this spring and summer and direct all eyes on you. Watch ET’s senior style editor Marisa Runyon dress ET Live’s Cassie DiLaura for this season’s music extravaganzas. For the girl who wants to keep it casual but cool, denim cut-off shorts are essential. 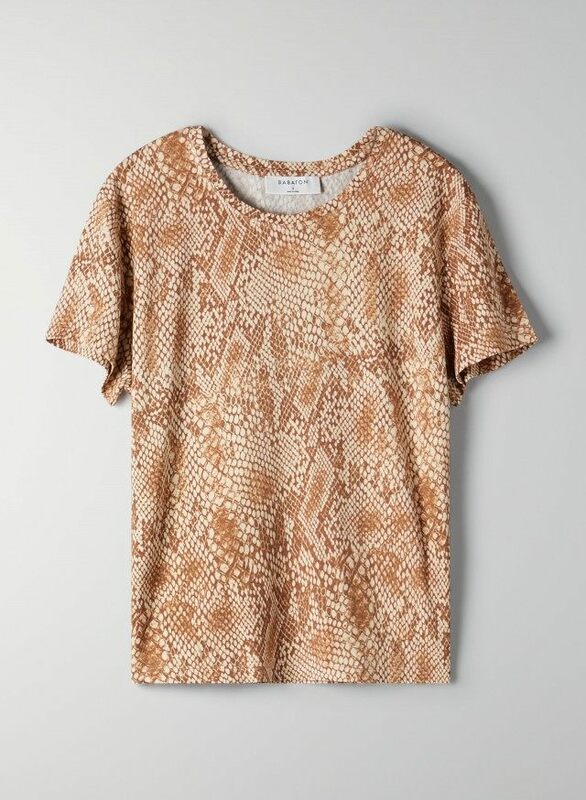 Instead of a plain tee, opt for an edgy version like a snakeskin print. Throw on comfy sneakers and loop a leather belt bag around the waist so you can be hands-free. For added flair, reach for aviator sunglasses and lucite hoop earrings. A feminine floral matching set that bares a subtle peek of midriff is the epitome of festival style, so why not take advantage of the occasion? We love this flirty puff shoulder top with sweetheart neckline teamed with a coordinating pair of fluttery shorts. Opt for flatform sandals that lend a touch of height without pain. Adorn the open neckline with a layered chain necklace and finish off with modern shapely shades, a woven bag and hat to top it off. Prefer a longer hemline? A romantic flowy midi dress in a bright hue is effortless, especially when worn with white western-style booties. Statement earrings add a punch (pink and red is such an underrated color combo! ), while a sleek, neutral crossbody tones down the look and keeps your belongings safe.